I hope you’re having a great weekend? I must admit I have gone a little bit crazy lately with buying home and photography accessories. 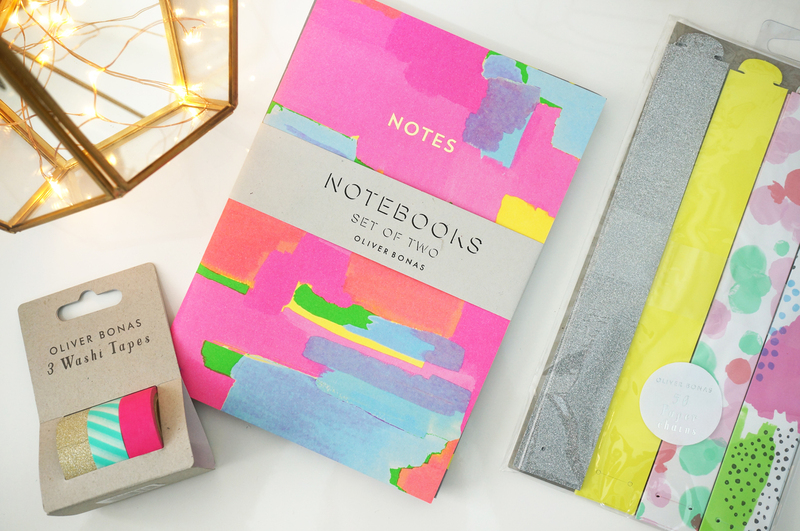 I’ve been hitting my favourite online stores like a woman on a mission – and I haven’t left anywhere empty handed! I also still have most of my Christmas shopping to do too, oops! I live not far from Norwich in a small town, and unfortunately we don’t have many decent shops at all, so I always do my shopping online. 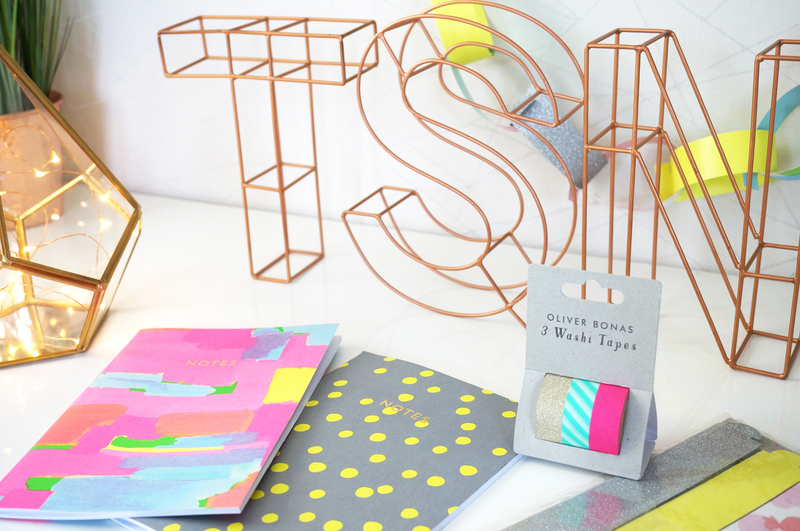 One of the first online stores I hit was the fantastic Oliver Bonas. I absolutely love this store, their aesthetic is just so me. 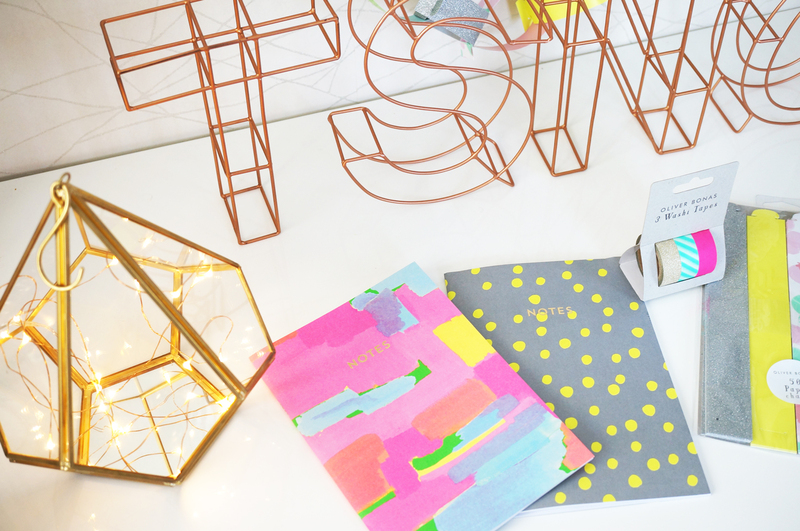 They sell a massive range of products including home accessories, stationery, jewellery and even clothing. 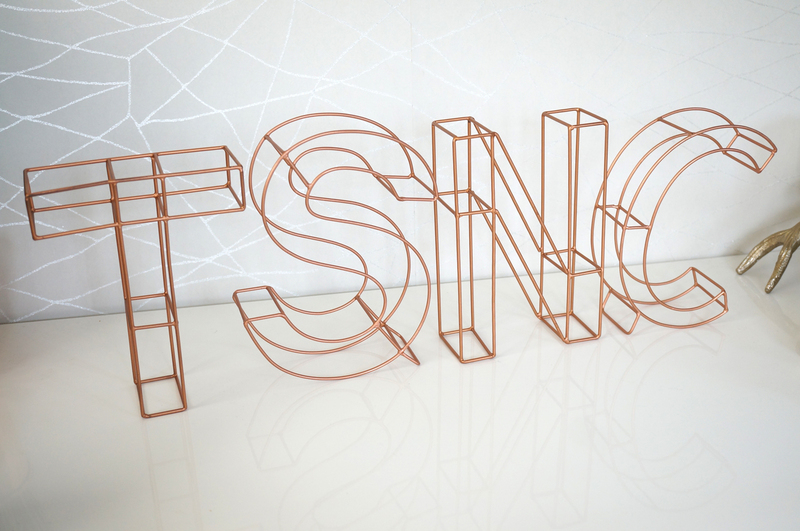 So firstly, how could I resist these copper wire 3D letters, to spell out TSNC!? I thought these would make fantastic background accessories for my photos, I’m over the moon with them! And I know copper is everywhere at the moment, but I love it! I also picked up a gold framed hanging glass terrarium, just because it was so pretty. I’m not gonna lie, I had to google what a terrarium was… so for those not in the know, it’s basically a glass container, traditionally used for displaying minature plants inside. One side of the terrarium has a space left free of glass so you have easy access inside. 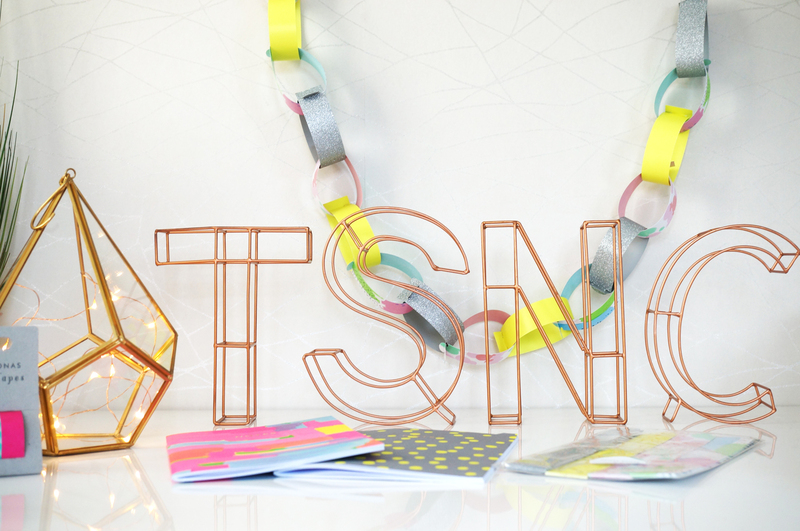 I wasn’t really sure what I’d put in it until I saw some copper string lights on the site – yes I know more copper! I thought I might play around with these as a photography accessory, putting them in the terrarium and wrapping them round things. I’ll see how it goes. 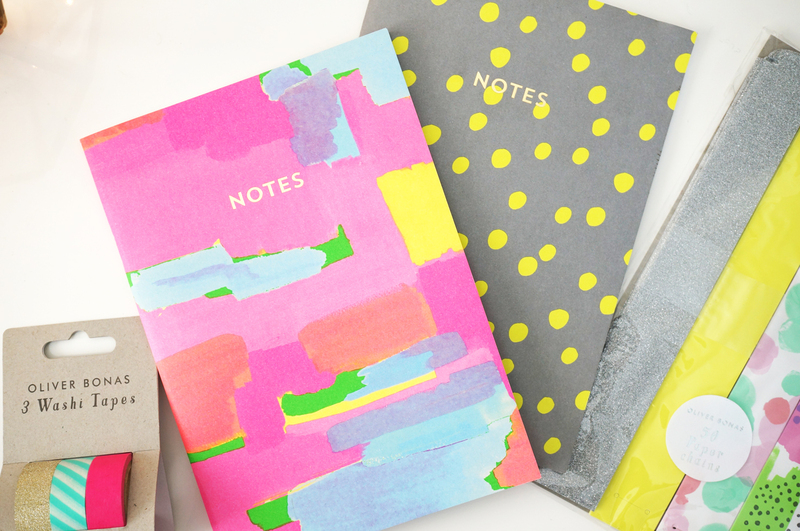 And you know how I feel about stationery… well I bought two more notebooks that I don’t really need. They’re just so awesome and bright! 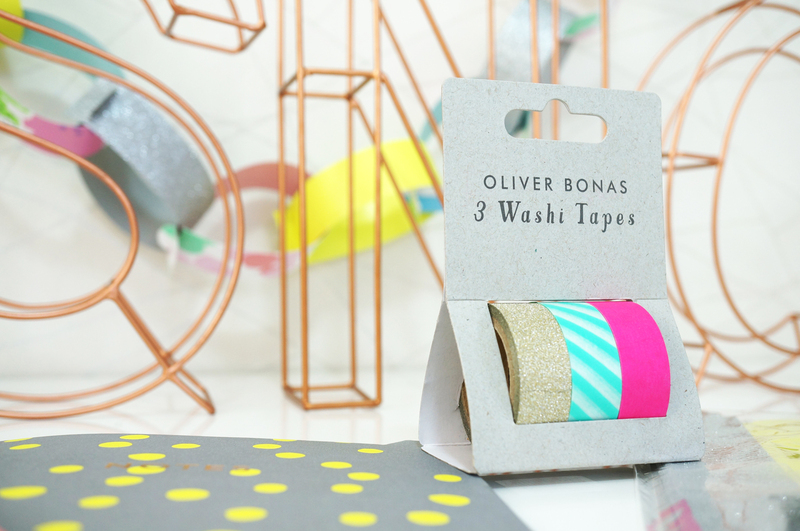 I also grabbed a lovely set of three coloured washi tapes – I’m not sure what I’m going to do with it yet but at least I have some now for when I’m feeling creative! And lastly, I also picked up a multi coloured paper chain, this is such a simple yet effective idea for adding a bit of colour to a wall, shelves or anywhere you like really.